It’s been a long January, with some terrible weather, but there has been plenty on the go in Dubh is Gorm country. 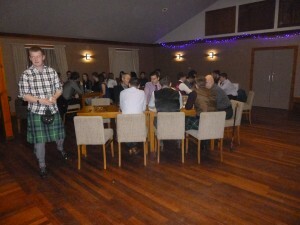 The night of the Iomain Challainn we held the Dinner Dance. The two have kind of gone hand in hand, since Sean organised a night out in the Clachan back in 2010, although the first proper one was held in Fortrose Lodge at the end of the historic 2011 seasons but this year we held it at the Golf Club for the first time. 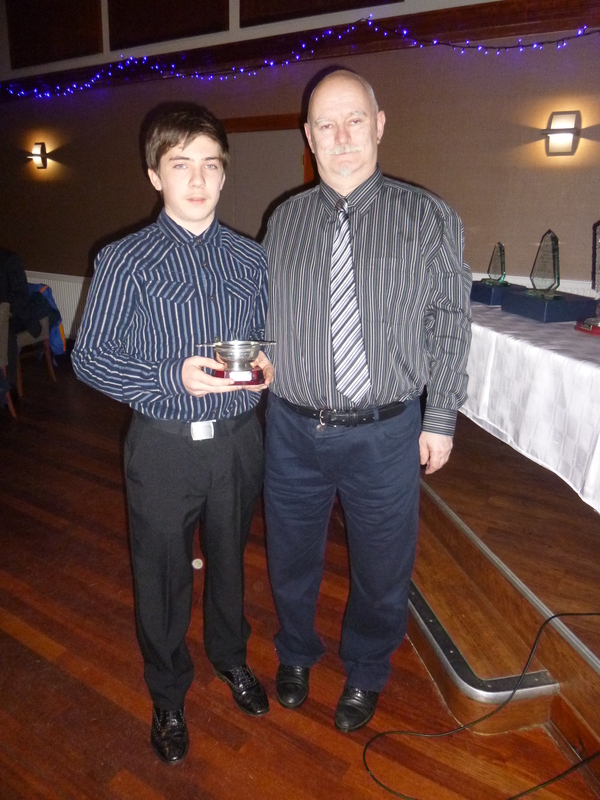 We presented the Player of the Year Prizes, and Club Chieftain David Macdonald did the honours. Paul Duke was named Senior Player of the Year and Scott MacLeod retained his Young Player of the Year. A great night had by all and everyone looking forward to an exciting year ahead. Hopefully next year, there will be prizes for Primary age groups and the women’s team. The Ladies continue to grow in numbers, and although they have opted not to join the WCA leagues this season, they will be building towards that level of competition with friendlies and sixes tournaments throughout 2015. Training continues apace at all levels, with a new group starting up in Harris soon it is hoped. More details can be found on the Facebook Page about training times etc. Iomain Challainn – Macdonald’s Beys beat Reed’s Bibs! What a cracking day’s shinty at Bayhead, the teams were taken by Conor and Al, with the might of the first team trainer against the callow but mercurial boss of the Balallan Shinty School for the honour of taking bragging rights for 2015. Ally Lamont bagged a hat-trick, Ruairidh MacMillan grabbed a spectacular second half brace and then Scott MacLeod sealed it with cheeky wee nutmeg to round out a decent days work for Conor’s lads. 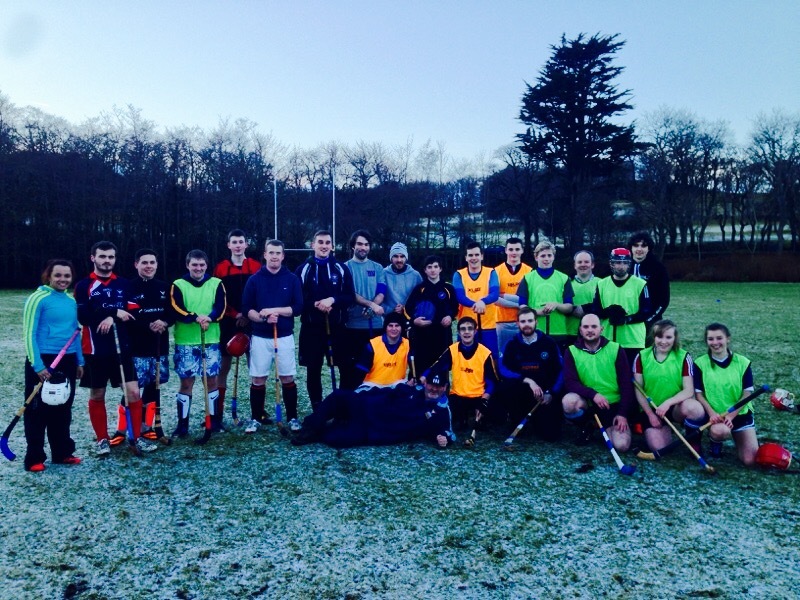 6-0 the final score but shinty was the winner! It was a special day, considering that it was only 20 years since the late Dr Barden revived the New Year tradition in Lewis, and only four years since Sean organised a revival of the revival. The It’s a great way to get the lads (and now the lassies) together, and they then carried on to the Awards Dinner in the Golf Club. But that will be another article. 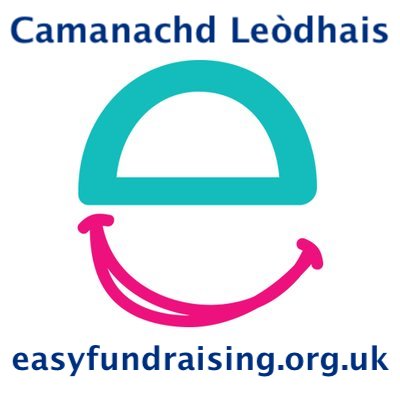 Bliadhna Mhath Ur agus Ceo As Bhur Taigh!